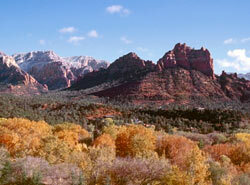 I retained Bruce Tobias to sell my home in the Chapel area of Sedona in 2010. Bruce was professional, experienced and guided me to price the home correctly. Due to his client contacts, the home sold in 10 days! 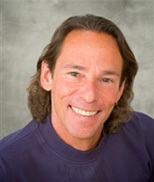 I plan to retain Bruce in the future and would certainly recommend him to anyone with a home to sell in the Sedona area. Bruce Tobias is a blessing. My mother had just lost her husband of 50+ years and moved away from Sedona, AZ but needed to sell the high end home she left behind. Then when some issues with the house arose upon inspection, we wondered how we were going to handle this remotely and figured we were in for an extended and painful journey. That was when we realized how fortunate we were to have an agent like Bruce Tobias. His experience and calm professional manner guided us through what would have otherwise been an intimidating if not impossible process. But more than that, Bruce behaved like a close friend as he handled an enumerable quantity of often dirty, mundane and time consuming tasks on our behalf. What resulted was first class marketing of the home, shrewd business decisions, and ultimately a painless and efficient close of sale that pleased both buyer and seller. Bruce was perfect for us and I’m sure he’d be perfect for you. 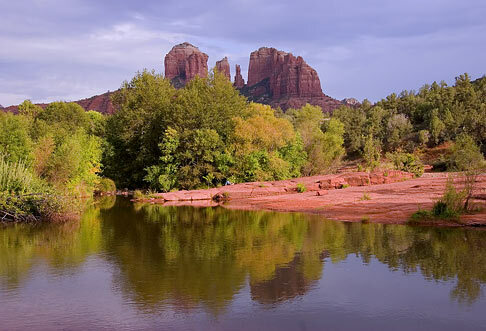 Are you considering selling your Sedona luxury home? Once you decide to sell your Sedona property or home, the quest begins to find the best Realtor® to serve you. Ask your friends and no doubt you’ll hear our names. We have a two‐phase initial listing process when selling your Sedona luxury home, providing the most thorough approach to pricing and marketing your home. When you call us, the first meeting is to get acquainted and to get us acquainted with your property. The second meeting is a full listing presentation that includes gaining an understanding of your goals and objectives, the factors of a successful sale, the specific marketing and promotional activities we conduct for your home, an in‐depth presentation of the current market and the comparable property analysis of your specific property. Our proven marketing strategy for selling your Sedona luxury home is a trifecta of marketing, advertising and networking that places a heavy emphasis on marketing to and networking with our fellow Realtors®. Also emphasized is our strong sense of service to the entire real estate community including escrow officers, title companies, property inspectors, surveyors, lenders, etc. This broad-based approach creates an initial all-encompassing surge of interest in your property that gains lasting momentum as all marketing components come together. In addition to extensive print and Web marketing, much of our marketing efforts target the professional real estate community because we want to ensure our fellow Realtors® know they can depend on us, are familiar with our listings and want to bring us their buyers. This is a highly collaborative approach and goes far beyond the old‐fashioned perceptions of marketing. The Sedona residential market is like a pyramid in that more Realtors® work the lower-valued homes. Moving up the pyramid with higher-valued homes, fewer Realtors® service those sellers. At the top of the pyramid is the luxury sector, which has only a handful of Realtors® out of a total of 600 in Sedona and the Verde Valley who are capable of serving luxury sellers on a daily basis. In 2005, because of the special nature of luxury home sales, a small group of luxury Realtors® formed Sedona Luxury Real Estate Professionals, with membership open to all. As a founding member of SLREP, twice a month we join the group’s 25 to 30 luxury real estate professionals who gather early for breakfast meetings. Among other promotional activities, we share our listings, network and discuss the market in depth. We also have committees for specific educational topics. 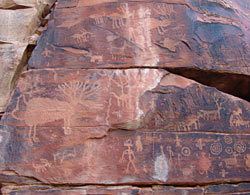 SLREP greatly extends what was already a cooperative real estate community in Sedona. Our members work together constantly, looking for keys to help our luxury buyers and sellers to be successful. Gone are the days when the MLS was simply an inventory of active listings. Today, the MLS is oftentimes the very first property presentation seen by the other Realtors® and all potential buyers. We liken it to opening night on Broadway. So, when the curtain goes up, we’re thoroughly prepared to sell your Sedona luxury home with a beautiful and fully accurate MLS presentation of your property or home. This includes the highest quality photos showcasing your home’s most striking features and a well-written persuasive description that sets your property or home apart. 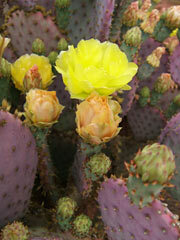 The description is designed to develop buyers’ interest so they want to see it in person. As an adjunct to the MLS photos, we provide a Tour Factory 360-degree photo tour of your luxury home. This allows us to deliver full‐screen photo presentations in addition to the smaller MLS photo format. In certain instances, we augment a home’s MLS presentation with a professionally designed custom website on its own domain. As demonstrated at SedonaCliffHouse.com and SacredEagleEstate.com, there’s no better way to showcase an exceptional home’s architectural details, spectacular views and abundance of space and light. Such dedicated websites enable prospective buyers the world over to experience a home almost as though they were there. A look at the top producers in the Sedona market shows that an agent’s ability to rise to and remain at the top is based primarily on experience, exceptional service, in-depth market knowledge and of course sales, sales, sales. Named Top Producer of our office for the past 17 consecutive years and Top Producer of the Sedona Verde Valley for the last 10 years, we consider our vast real estate experience, exceptional service, in-depth market knowledge and top-producer sales to be the supporting pillars of our differentiation in the marketplace. With greater market knowledge, deeper roots in the community and even deeper roots in the real estate community, we’re more action oriented and consistent on a daily, even hourly, basis. And when we take on a listing, we price it better, market it better, network better and create more showings — all the things necessary to accelerate the opportunity for a sale and for a sale at the very best price for you. A telling byproduct of our hard work is our exemplary sale- to list-price ratio: 94.8% for the past 5 years. Additionally, over the past three years with more sellers than buyers in the marketplace, even some good properties in the Verde Valley went unsold. So, when comparing different homes’ time on the market, it’s important to look for close sale- to list-price ratios. Our sale- to list-price ratio has a much tighter gap than our counterparts’ ratios because we sell homes faster on a regular basis. This means our sellers consistently have more leverage in negotiations than their respective buyers. Also, the tighter gap is an indication of our top-level negotiating skills. Today, with more buyers ready to buy, the gap in our sale- to list-price ratio grows ever tighter, meaning even more negotiating leverage for you. As you make this lifestyle change and sell your Sedona luxury home that holds your memories, we want you to have an impeccable and enjoyable experience. This is why we handle everything for you ourselves — including answering our phone and responding to your emails promptly. We’re always connected, so please email us or call direct at 928.204.1950 anytime at your convenience. Let’s meet and get acquainted.